Several dozen government workers want a local developer to pay for damage they say was caused by wet concrete. The employees claim it'll cost them thousands of dollars to fix their cars as a result. 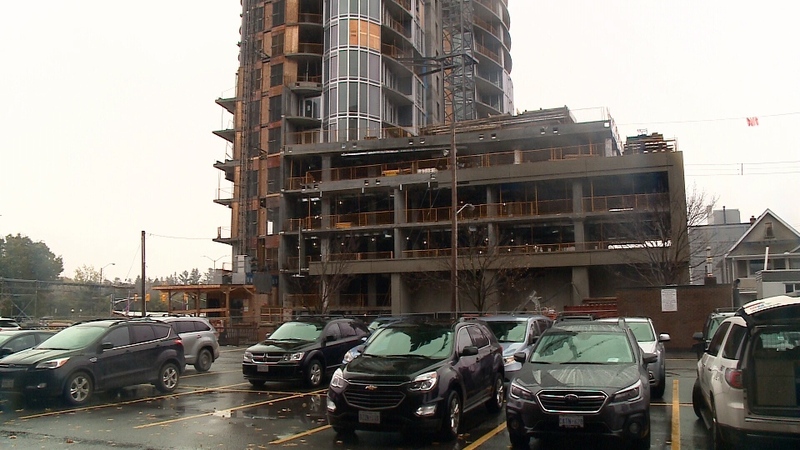 The employees park near the Claridge condo tower going up at Dow's Lake. The Icon tower has been the scene of several workplace incidents. Look up, way up. It's not just rain drops falling from the sky, according to a group of government employees. 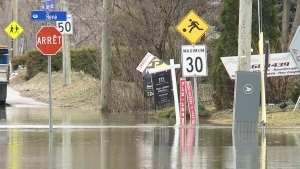 “When I came out, I had wet concrete slop all over,” says Cameron Wilson, who owns a truck and explains what has happened to it over the course of several weeks. Wilson says a few times now, he and about 20 or 30 other employees have come out to find their cars covered in what they call “concrete water.” The workers have taken photos of the thick, muddy and gritty substance splattered on their cars and fired off the photos to Claridge. “You can see the concrete splatter all over the hood,” says Wilson, as he shows CTV his photos. Wilson says his adjuster has told him it will cost between $4000 and $4500 to get his truck repainted, since the concrete water is corrosive and will eat away at the paint and cause rust. Claridge didn't respond to our emails or phone calls but told the car owners in emails to call their insurance companies “to file claims because it was considered an "Act of God” since one of the splatters happened the day of the tornado. So would the Ottawa and District Labour Council. There have been multiple incidents here. Two years ago, a construction worker, 25-year-old Olivier Bruneau, died when a slab of ice fell on him. Two years later, a worker fell and had to be rescued by firefighters using a crane and a basket. And that's what worries the group of government workers as well. “Someone’s going to get hurt,” says Yvonne Dionne. For now, folks are avoiding the area and parking elsewhere or leaving their cars at home. Others, like Matte, are literally taking matters into their own hands, diligently picking off each tiny piece of concrete residue.